(Phys.org)—A team of researchers with California Institute of Technology and the Karlsruh Institute of Technology has improved the efficiency of thin film solar cells by mimicking the architecture of rose butterfly wings. 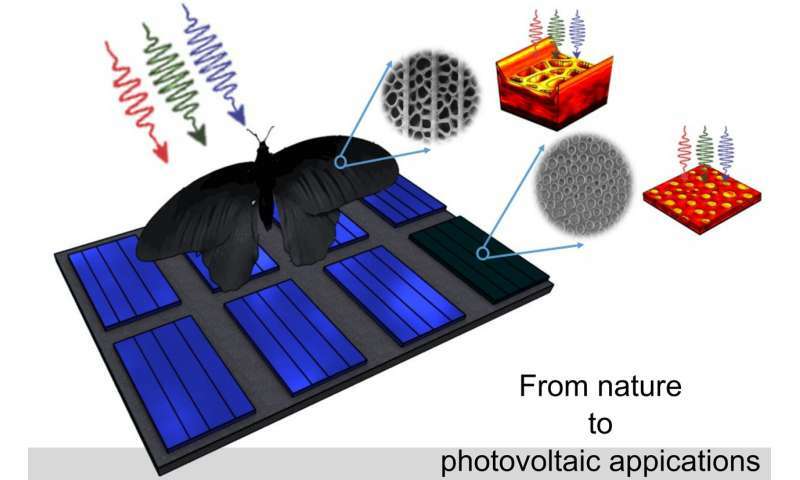 In their paper published in the journal Science Advances, the group explains their inspiration for studying the butterfly wings and the details of their improved solar cells. 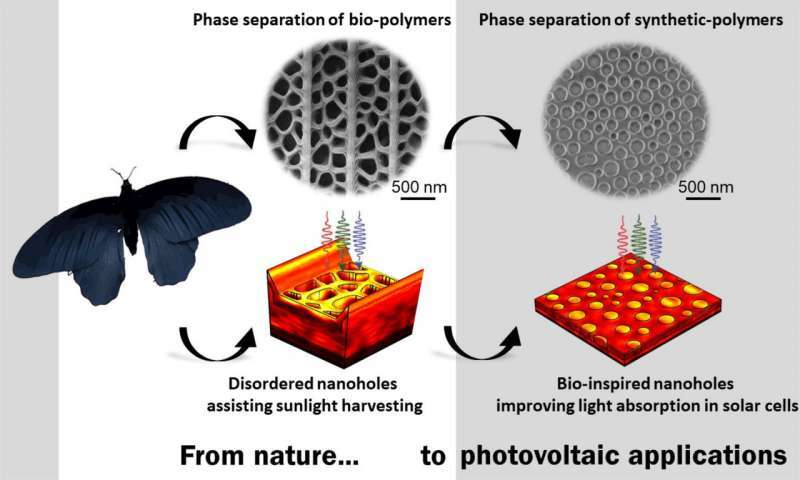 As scientists seek ways to improve the efficiency of solar cells, some have increasingly turned to thin film solar cells. Not only are such cells lighter and more manageable than traditional crystal-based cells, but they are expected to be more efficient if engineers can find a way to get them to work for longer periods of time. One of the roadblocks to improving the efficiency of solar cells in general is the high expense of motion hardware that tracks the sun. In this new effort, the researchers took inspiration from the rose butterfly, found commonly in India. It has soft black wings that warm the cold-blooded insect during cool periods. To learn more about the butterfly wings, the group collected some samples and looked at them under an electron microscope. They found that the wings were covered with scales pockmarked with holes. 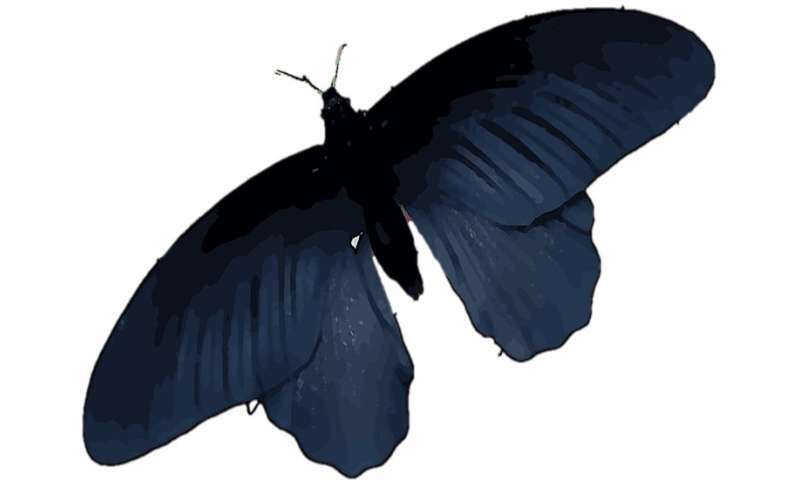 In addition to making the wings lighter, the holes, the researchers found, scattered the light striking them, which allowed the butterfly to absorb more of the sun's heat. 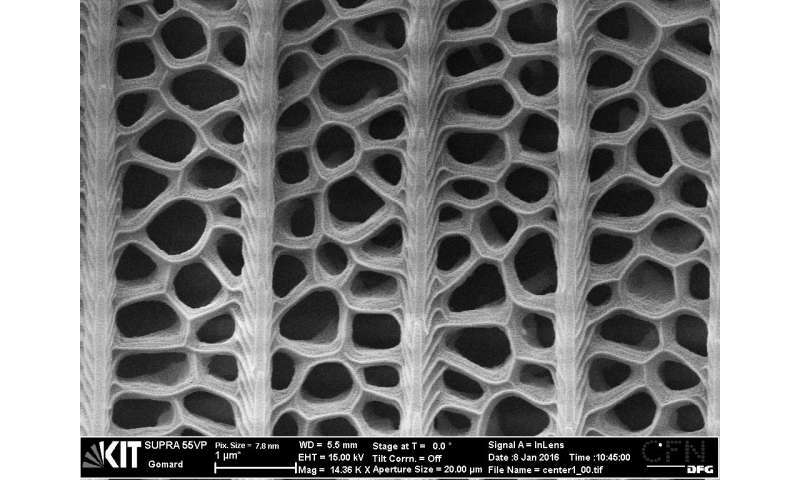 Intrigued by the butterfly design, the researchers created similar structures in their lab using sheets of hydrogenated amorphous silicon sheets. A top layer with extremely tiny holes of various sizes caused light to scatter and strike the silicon base below. The design, the team found, allowed for picking up roughly twice as much light as previous designs. The group reports that creating the cells was quick and easy. 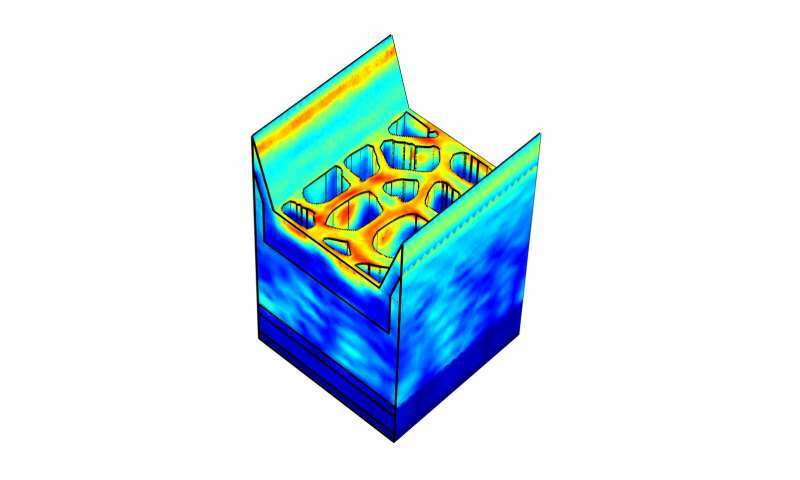 They made the holes by dropping bits of a binary polymer solution that did not mix with the type of polymer used to create the sheet. The process took just five to 10 minutes. I wonder if this concept could be used for low light imaging as well.